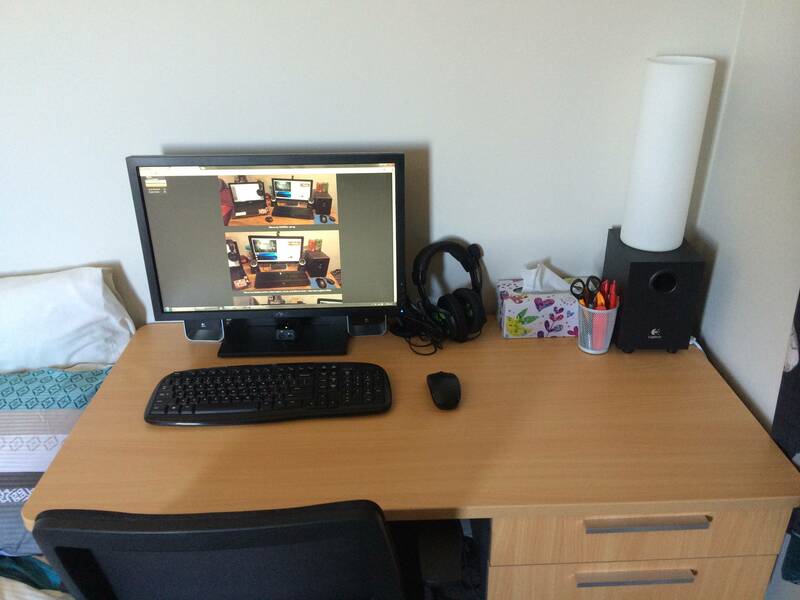 This thought motivated me to clean my room, and clean my desk to make a better setup, this is what I got so far! 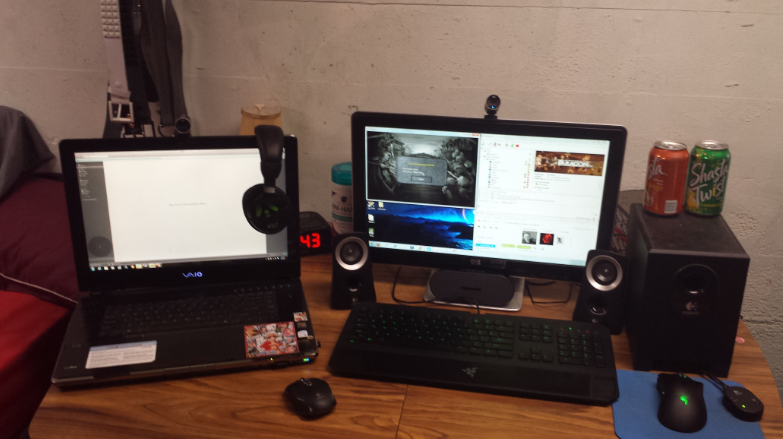 This is my OVERALL set up. 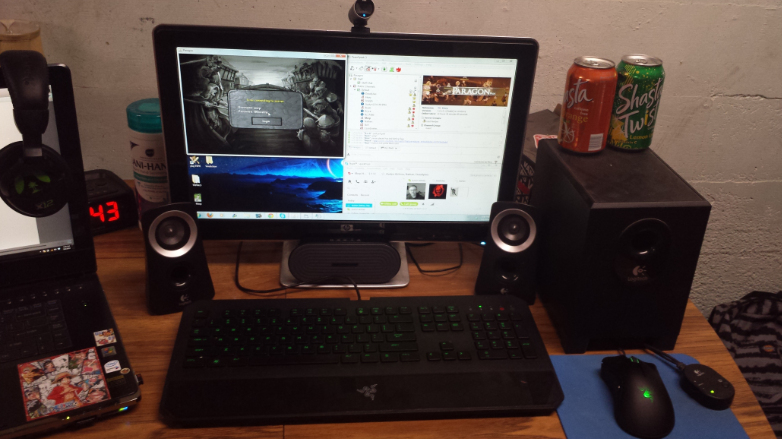 This is my desktop section, where I game, record, and listen to music. I also have Logitech G930. 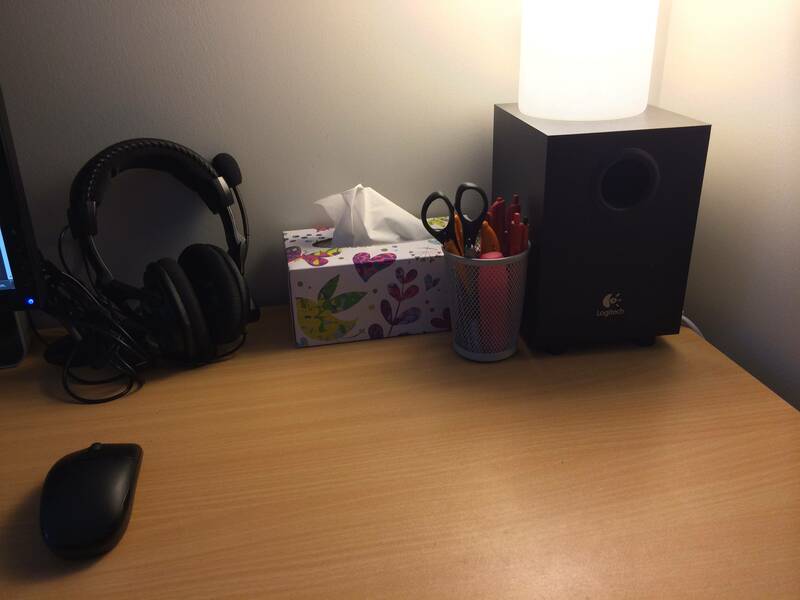 I just happened to tidy up my desk last night. 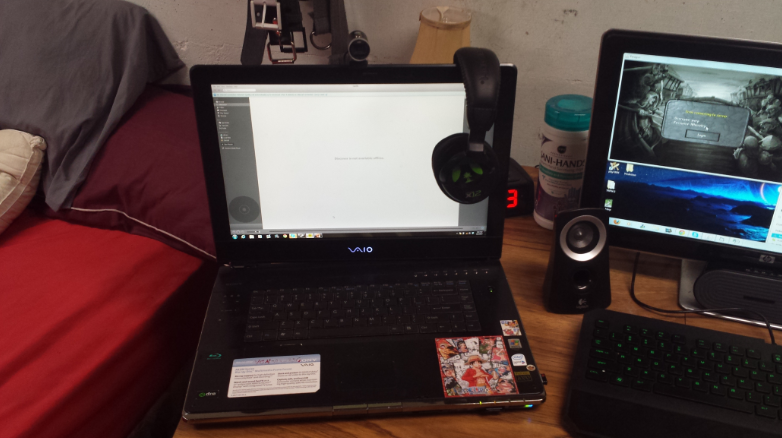 Basically I use my laptop like a desktop while at home, but I only need to unplug the speaker audio jack, monitor VGA cable, USB desk fan, and charger to become portable. I've stuck a 6 way power board on the back side of my desk using velcro so the only cables I see under my desk are the ones listed previously. 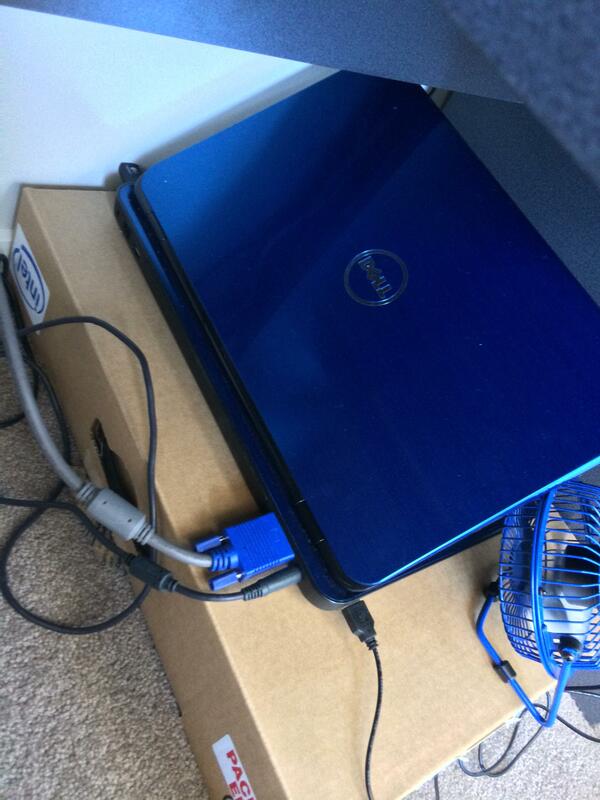 Laptop: Dell Inspiron 15R. Intel Core i7-2630QM @ 2.00GHz. 4GB DDR3 @ 1333MHz. NVIDIA GeForce GT 525M. Monitor: Dell E2209WC 22" LCD @ 1680x1050. 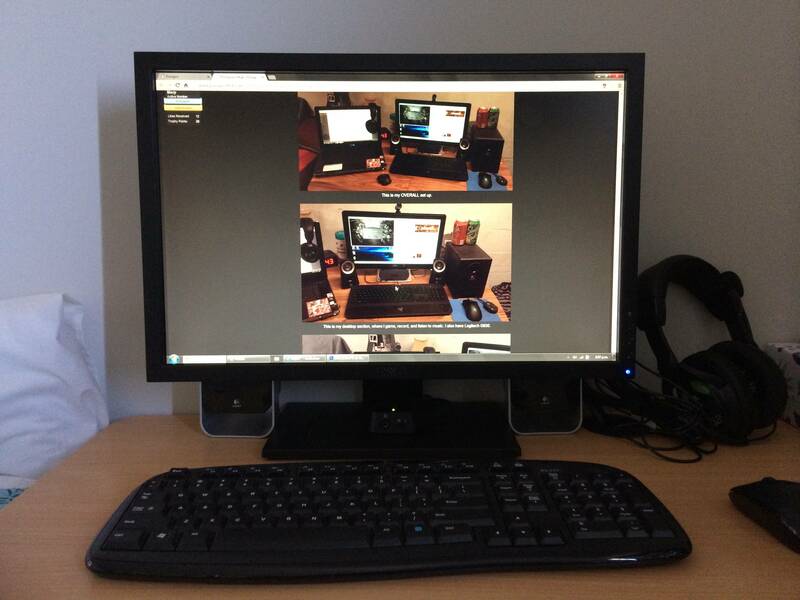 Keyboard & Mouse: Logitech Wireless Desktop MK250. Speakers: Logitech LS21 2.1 Stereo Speaker System. Headset: Turtle Beach Ear Force X12. I love the wooding on your desk, mine was a cheap 10 dollar one, had to get one asap to get my room all fixed up when I first moved in. Looking into getting a new computer desktop, a new desk, and 2 new 27 inch monitors. I think it's just a thin glazed board over MDF, but it looks good. The new gear that you're getting sounds awesome. 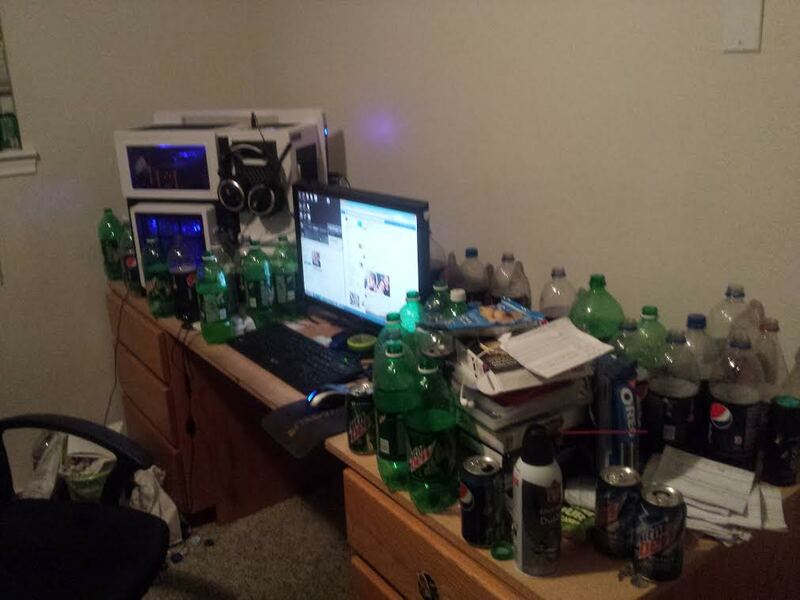 I'll post an after pic tomorrow when I clean my room. How much do you weigh irl, no hate intended. 5'10" 140 pounds, surprisingly. I drink 2 liters of soda a day usually. Can I have you bottles for gas money please.